O’Neills Bar & Grill Now on Facebook! 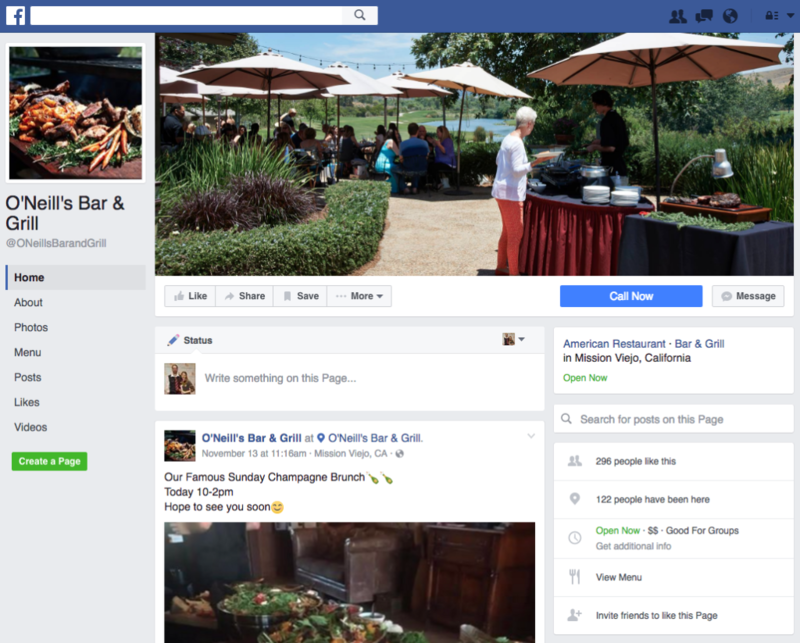 Arroyo Trabuco’s O’Neill’s Bar & Grill now has it’s own Facebook page. The restaurant is committed to high service standards and delicious food. That plus the awesome location, with it’s scenic landscape views by the 18th hole of Arroyo Trabuco Golf Club, make O’Neill’s a true hidden gem. O’Neill’s Bar & Grill has the best patio dining experience in South Orange County. LIKE O’Neill’s Bar & Grill on Facebook for mouthwatering images, news on special offers, and information about our famously decadent buffet events.